Park City caters to the skier who cares about easy access, great snow and varied terrain, which explains why this resort has proven enduringly popular over the years. With premier snow conditions, ideal terrain and an impressive array of lodges, restaurants, clubs and retail shops, the area is a deserving venue. With expansive bowls, groomed World Cup runs, and friendly intermediate terrain, Park City and The Canyons are a tough combination to beat. 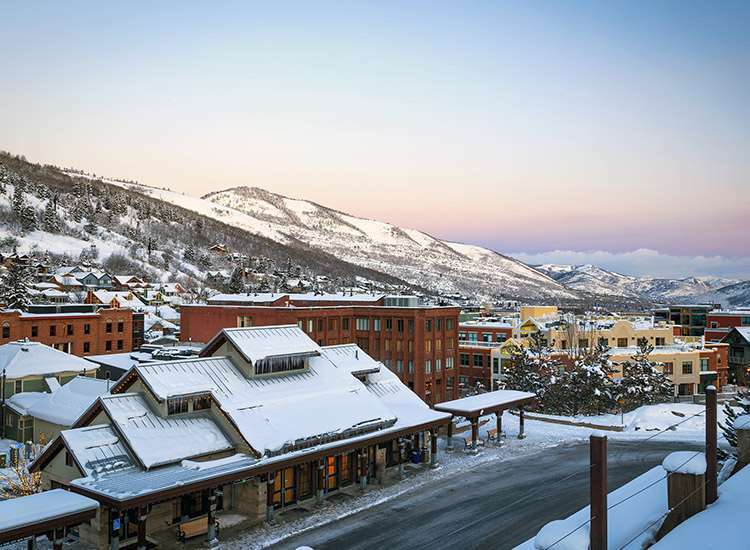 Park City’s Town Lift provides the Old Town with ski-in/ski-out access. The Canyons is Utah’s largest ski mountain with eight peaks, sprawling tree runs and a world-class terrain park. Top accommodations include: Grand Summit Hotel, Zermatt Utah Resort & Spa, and Snowflower Condominiums. Ski Park City and discover that lodging accommodations are close to the slopes, there is skiing every night of the week, and 380 inches of the fluffy light stuff each season make it hard to stay away from this "Snow Capitol". While intermediates tend to think of Park City, as "their" mountain, novice skiers thrill to the lengthy ease of Summit House run while experts head to the bowls. Park City is headquarters of the U.S. Ski Team and it shows: exciting moguls runs, racing trails and even a new giant slalom course. Off-slope, Park City is quite special, probably with more National Historic Register buildings per square foot than any other Victorian mining town. Lots of terrific restaurants, steak and prime rib are the local specialty, and picturesque shops line Main Street. Under the mountain you can explore a thousand miles of mining trails on a Park City Mine Adventure.